The Folk Heritage Committee is a group of dedicated individuals who work throughout the year to produce the Mountain Dance and Folk Festival and Shindig on the Green. The mission of the Folk Heritage Committee is to preserve and present the musical heritage of the Southern Appalachians to audiences who attend from throughout the region and world, for entertainment and education. 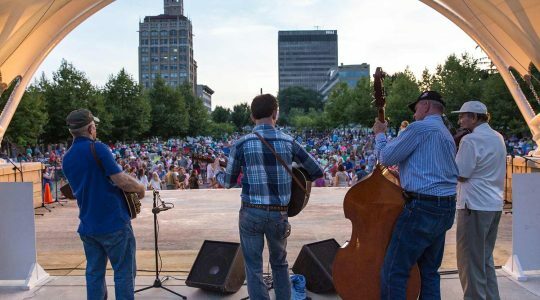 Shindig on the Green is a series of summer gatherings in downtown Asheville of old-time string bands, ballad singers, cloggers, and storytellers. Bring a blanket or chair, find a spot on the grass, and sit back and enjoy. Or if you’re a musician, join with the many jam sessions which are open to all. 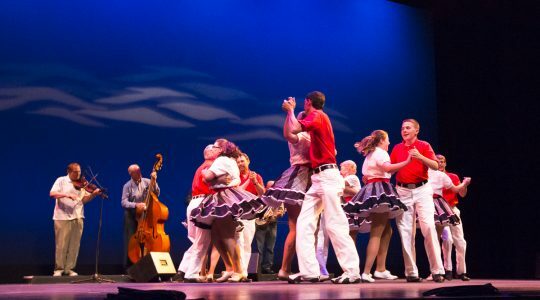 If you like Shindig on the Green, you'll love the Mountain Dance and Folk Festival! Proceeds support Shindig on the Green. 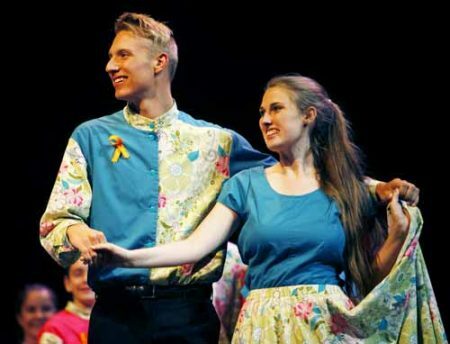 This year will be the 92nd Annual Mountain Dance and Folk Festival, which was started in 1928 and is the longest continually running festival in the nation. 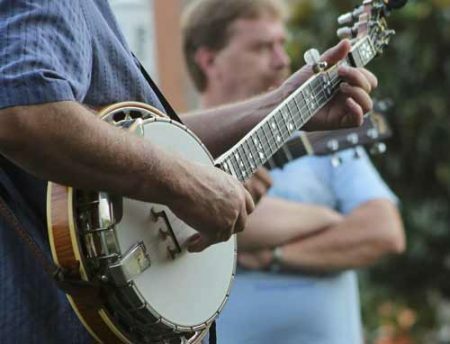 Every year it showcases the Southern Appalachians' best traditional mountain musicians and dancers. This is a ticketed event, and will be held at UNCA's Lipinsky Hall. 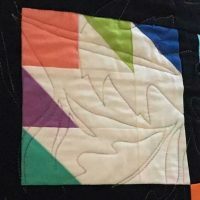 Made and donated to Shindig on the Green 2018 by local quilting collaborative Mountain Jam Circle, this 66″ by 82″ twin-size quilt is a modern take on the traditional Bear Paw pattern. 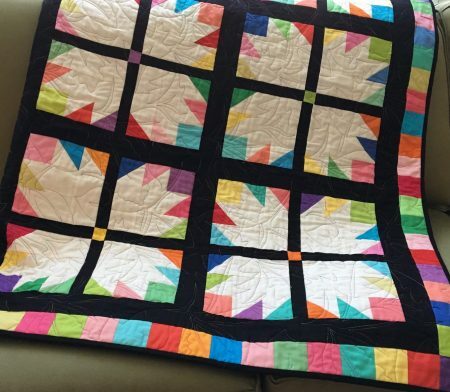 The quilt features solid fabrics in black, white and bright colors. The quilting is an overall pattern of life-sized oak, maple, tulip poplar, and other leaves collected in Asheville. The quilt is valued at over $800.00. Raffle tickets for the quilt are $2 or three for $5, and are available at Shindig on the Green and at the Mountain Dance and Folk Festival. Thank you everyone for participating and supporting the Shindig on the Green!